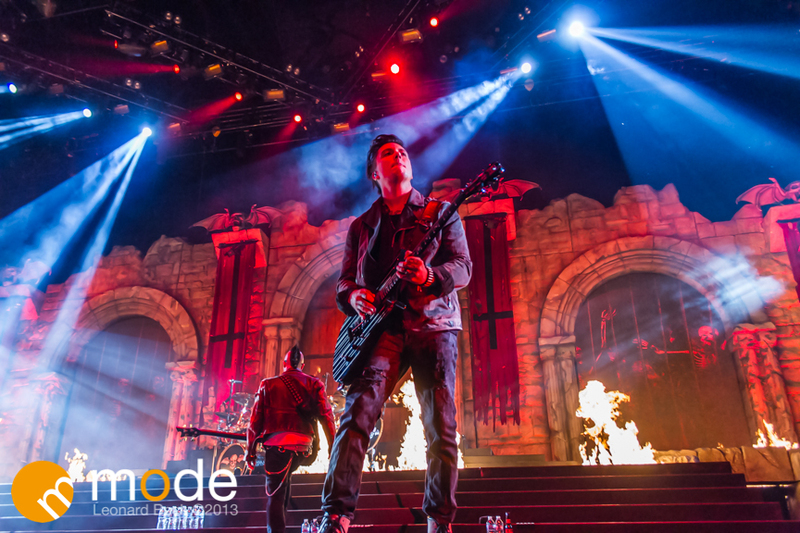 Avenged Sevenfold and Deftones performed at Joe Louis Arena in Detroit for the “Hail to the King” tour on Oct 13th. 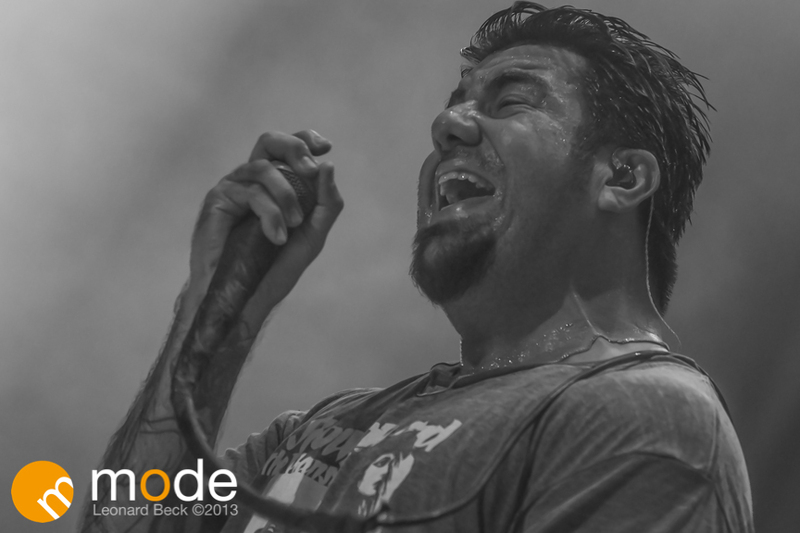 Deftones took the stage under a roaring thunder of fans cheering. Chino had his running shoes on and wore them out quite a bit. As a photographer I love to see bands active on stage but he gave me a workout trying to chase him. Under a blaze of fire and a barrage of multi-colored spot lights Avenged Sevenfold made their impressive enterence. These guys are true Pyro’s with flames bursting out all over the stage. I wish I had 1/10 of these guys energy on stage. These guys aren’t just putting on show, they give you a experience.